A debridement is a procedure for removing thick or dense deposits on the teeth. It is required when deposits of plaque and calculus are too heavy to allow for an adequate exam by a dentist. A regular cleaning is known as a prophylaxis. It is defined as the removal of plaque, calculus, and stains from the tooth structures. A regular cleaning is recommended for persons who do not have dense deposits. 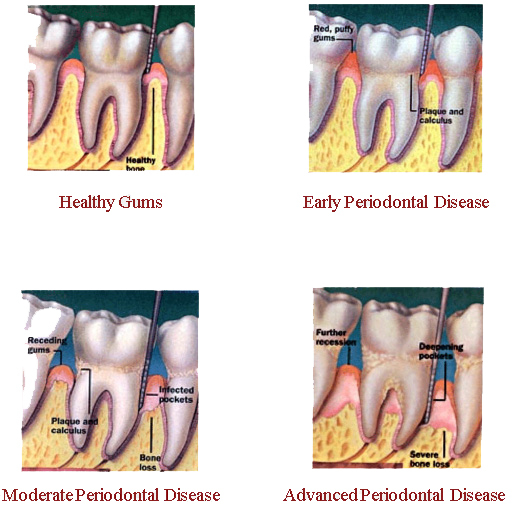 A debridement is recommended for persons who do have dense deposits of plaque and calculus. It is defined by the American Dental Association as removal of (heavy) plaque and calculus that interferes with the ability of the dentist to perform a comprehensive oral evaluation... (it is) a preliminary procedure that does not preclude the need for additional procedures. The amount of time needed to complete the procedure, as well as the difficulty and extent of the procedure are different.